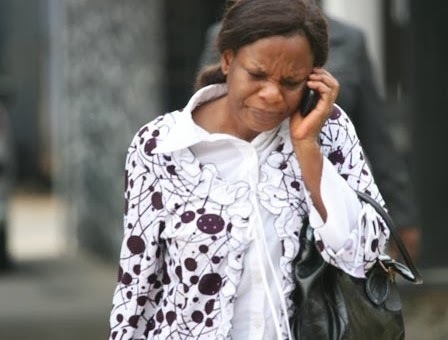 The Economic and Financial Crimes Commission on Tuesday arraigned one Akpojiyouwi Grace before Justice Babajide Lawal-Akapo of the Lagos High Court sitting in Ikeja, Lagos State on one count charge bordering on failure to conduct due diligence in financial transactions. The accused, a former employee of Union Bank, is accused of complicity in the mega scam that rocked the bank early this year when some fraudsters hacked into its data base and pulled out hundreds of millions of naira. Akpojiyouwi allegedly failed to conduct due diligence as the account officer of Dan Kawu Bureau De Change before confirming and authorizing the payment of N450 million to the company. When the charge was read, the defendant pleaded not guilty. Based on the plea of the defendant, the prosecution counsel prayed the court to fix a date for trial and to remand the defendant in prison custody pending trial. Justice Lawal Akapo adjourned the case to February 19, 2014 for hearing on the bail application and ordered that the defendant be remanded in Kirikiri Maximum Security Prison.